The longest night of the year may be behind us, but there’s plenty of winter ahead. Don’t despair, these short days and long nights have something for us that has been forgotten: the gift of rest and renewal. Winter is a natural time to withdrawal, move inward, and ruminate. These dark days are meant for sleeping in and dreaming strong. Good luck relaxing these days, though. The winter holidays are one of the most stressful times of the year, and rather than slowing down, we tend to pack our holidays full of family guests, shopping trips from hell and long excursions. Here are some tips and tricks for tucking in and getting the most out of your sleep and dream life during the frenetic holiday season, especially if you are traveling and at the mercy of other people’s schedules. If you’re like me and like to cave out during the last couple weeks of the year but are also juggling lots of social expectations, you may appreciate my field-tested survival guide to the holidays. 1. Flying across the country? Try melatonin. 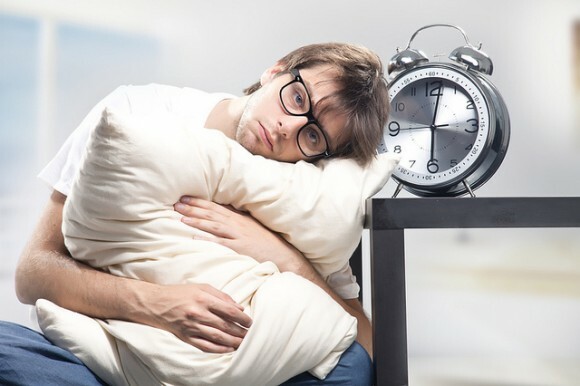 It normally takes one day per time zone for your body to adjust to a new sleep schedule. Melatonin has some good clinical support for speeding up this transition. Take it before bed for best results, and combine with exposure to bright light after you wake up in the morning. By the way, melatonin is also known to increase the vividness of dreams. 2. Take a nap. Naps under an hour are a proven way to refresh yourself emotionally and cognitively. In fact, even a cat nap of less than 20 minutes can improve mood and flow if followed by exposure to bright light. Bring your headphones and eye mask with you not only on the plane, but also to family gatherings where you might get trapped for most the day. Key to this plan is ducking out and laying down on the couch when the formalities are over (before your cousin beats you to the punch). 3. Load up on holiday pot roast. But not so much the jalapeno poppers. In Dicken’s A Christmas Carol, Scrooge doubts Marley’s ghostly existence by claiming the vision may be caused by “a bit of undigested beef.” Turns out, there’s some truth to this: beef, chicken, turkey and veal are all chock full of amino acids like choline that are known to increase dream vividness and bizarreness. Liver is especially rich in choline, in case you want to make your grandparents proud. Combined with all the tryptophan in the meat and potatoes, you are guaranteed to go down easy that night. Peppers, onions and other spices, on the other hand, can increase sleeplessness, possibly because they elevate body temperature. 4. Have a snack before bed. We tend to eat more when we are stressed, and this can lead to problems sleeping on the road. It’s a vicious cycle, because when we are sleep deprived, we tend to make worse food decisions and go for fattier snacks. So meet the urge halfway by having a small (200 calorie) but tasty snack an hour before sleep. A good example is a piece of toast with peanut butter, or a bowl of granola with yogurt and fruit. Even a small bowl of ice cream is better than nothing if you are prone to midnight snacking. 5. Bring something familiar to the in-laws’ guest room. If you’re sleeping some place unfamiliar, chances are you will wake up twice as often throughout the night. You can reduce anxiety by planting your night light from home in the room so you can quickly feel safe if you wake up in a panic. A pleasing and familiar perfume from home can do the same trick, and may even give you better dreams to boot. Anoint your pillowcase or bring a fresh dream pillow with lavender, which has repeatedly been shown to increase relaxation before sleep, even for people with insomnia. 6. Drink and dream. Did you know that alcohol can dampen dreaming sleep? It also causes a dream rebound towards the end of the night to make up for it. Don’t make a habit out of this trick of course, but if you are planning for some holiday imbibing anyways, keep your morning schedules free so you can sleep in and reap some extraordinary dreams. These morning sleep cycles will have more REM sleep than normal, and also more vivid dreams with bizarre elements too. 7. Share your crazy family dreams. If you’re visiting extended family, you may spend half of your time avoiding the old landmines that can cause a dinner conversation to go south. Be on a look out for this material to crop up intensely in your dreams as the mind compensates for your good manners. The dream may have some creative solutions, or maybe just an image that everyone will appreciate in good humor. Sharing your dream can disarm grumpy guests, and possibly spark a fun conversation that will encourage sharing and cooperation. 9. Find creative solutions to work impasses. Taking a break from work recharges us, but we continue to chew on the most pressing issues even on vacation… and while we sleep. Many scientific discoveries owe their eureka moment to the problem solving function of dreams, so don’t miss out. And whatever you do after having an insightful dream, don’t tell yourself , “I’ll remember it in the morning.” Keep a notepad–or your phone armed with a voice memo app–near the bed and be ready for a sudden solution. Even better, make a strong intention to work on a specific problem while you sleep, a useful skill known as dream incubation. May you sleep well, dream feverishly, and come back after the New Year refreshed! It is true that doctors who work in Sleep Medicine employ melatonin to treat jet lag, but it is important that the patient follow a pattern appropriate to your specific case (or to the specifics of your trip). Tryptophan-rich foods, especially milk, fall asleep easier, just as do foods rich in carbohydrates such as cereals, bread, potatoes … By contrast, foods like chocolate or citrus can cause insomnia. It is very important to avoid confusion with the alcohol. Everyone noticed that after drinking a cocktail, a glass of wine or a beer we enter sleep more easily, but what we don’t know is that the quality of sleep that night is terrible. We invite you to check: drink 2-3 beers at dinner and go to bed; the next day in the morning you will realize that you have sleep despite having slept enough hours, what happened? You sleep but you have not rested because you have not had a deep enough sleep. Finally, we recall that the high light that emit video games cause insomnia if used before bedtime. That’s why children and adolescents spend hours playing without having dream. All good advice… Thanks for sharing! Take a pair of noise cancelling headphones on your holiday. You can use that to block out unwanted noise in planes and other forms of noisy transportation.